Fall is officially here! It is cold outside, the leaves are changing, my kids Halloween costumes have been picked out (my kids are obvious planners) and my home is fall-ified. 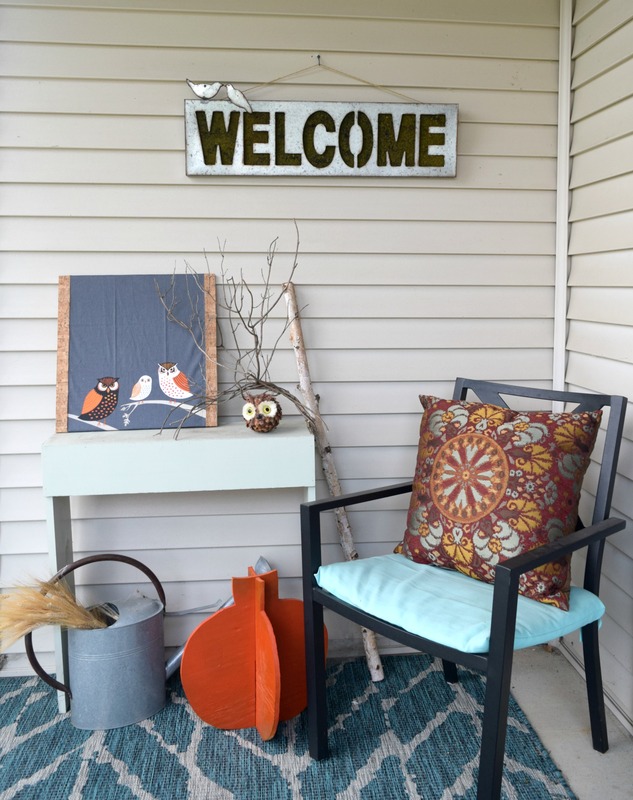 Today I am sharing my Outdoor fall home tour, keeping things traditional. 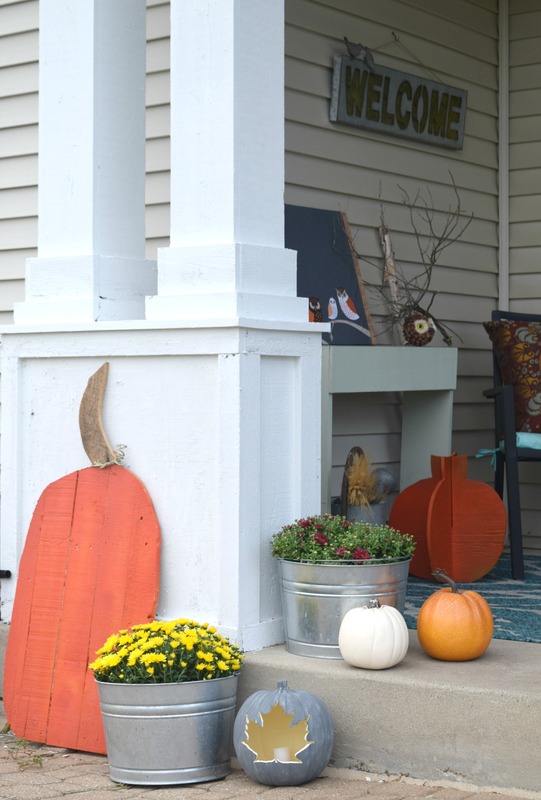 I love to shake things up with decorating for each season, typically doing something a little different than what is usually done. 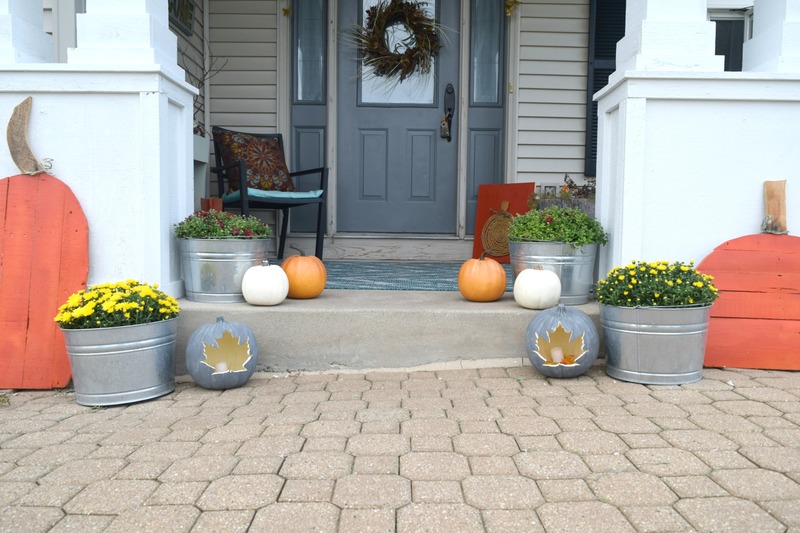 However, this year I kept with the tried and true tradition for my fall front porch. Also keeping with tradition for me is doing a blog hop for any seasonal tour. 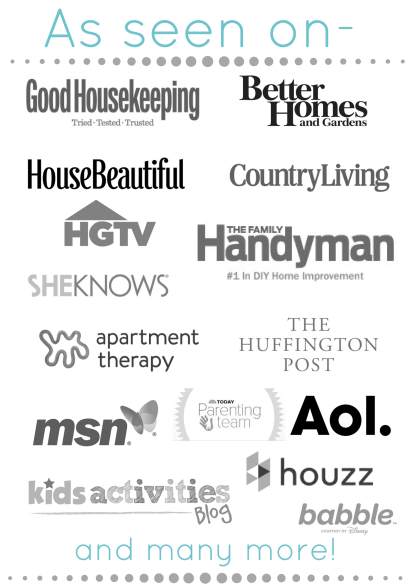 I like to collaborate with my blogging friends and also share even more inspiration with you all. This front porch tour is no different. It has been going on all week with today being my day to share. 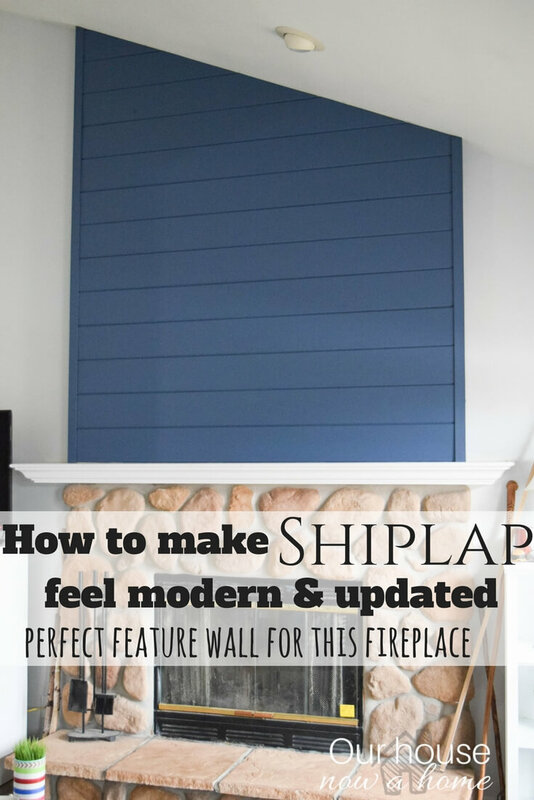 You will be able to see all of the beautiful outdoor spaces and their links at the bottom of this post. As I said, I kept things super traditional for my front porch. I wanted to use a lot more orange than I did in my home interior. There is so much beauty and color outside this time of year, adding a ton of bright orange colors just feels right for the outside. Also pumpkins, so many pumpkins! 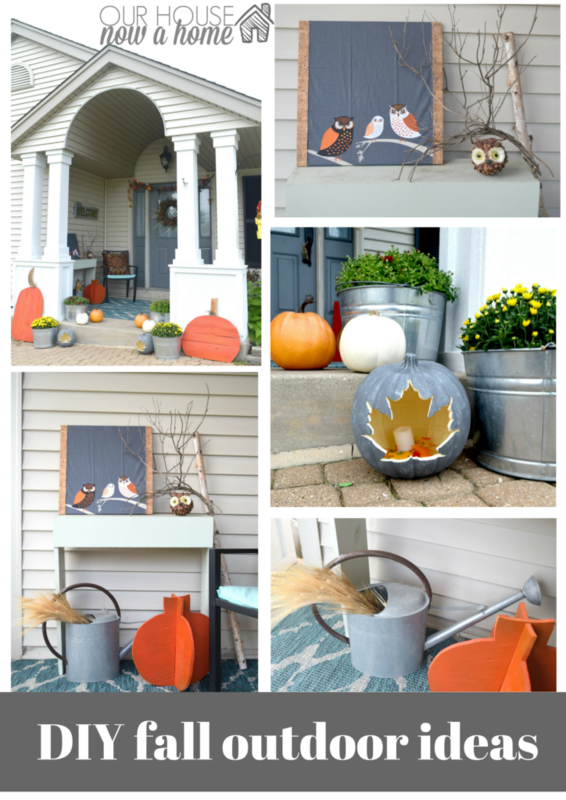 You cannot get more traditional than pumpkins and I went pretty crazy with adding them. I want all the pumpkins! I did continue my theme of using nature themed decor to decorate for fall. I adore incorporating sticks, twigs, wheat grass and other nature elements into the seasonal decor. It feels very cozy and a little rustic. This pumpkin craft is a new one, which I will be sharing the tutorial of next week! I fell in love with these mums, and put them inside and outside my home. I love how full they look and also the beautiful fall-ish colors. I try to decorate for my blog and “real life”. Meaning I do not set-up a bunch of things and then put them away. 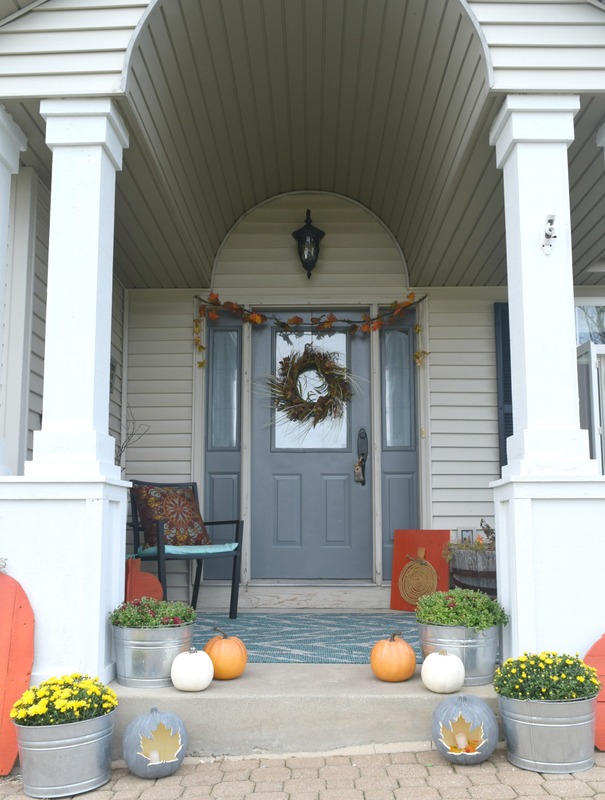 I adore all of the fully decorated front porches for fall I see on Pinterest. But, they feel a little too cluttered for actual life. My kids run by here, drag back packs, skate board off of the step, we carry groceries past here. I cannot clutter it up with pumpkins, regardless of how good it would look. So this is me decorating my outdoor area without being too over the top. 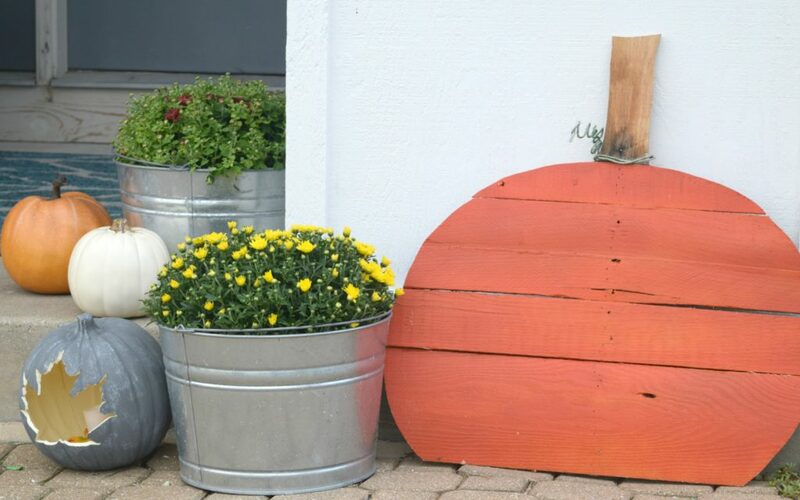 I love to add neutral colors and decor to my home, but these wood pallet pumpkins are beautifully and brightly orange. This seating area cannot change too much with the furniture, it needs to stay out of the way. So I generally decorate around the same DIY table and chair. Which I am sure I will get tired of doing eventually. For now it makes planning my seasonal decor really easy, I know this space sooooo well that I can decide what to put here right away. 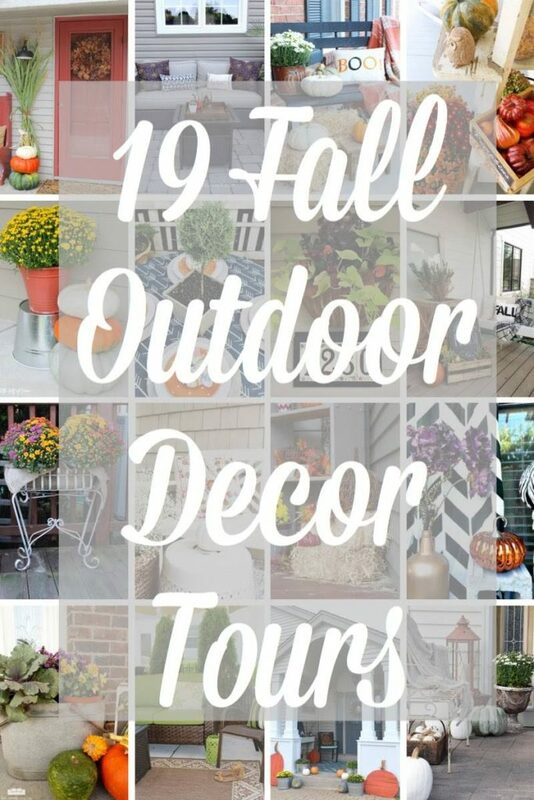 I hope you enjoyed my Outdoor fall home tour, keeping things traditional! 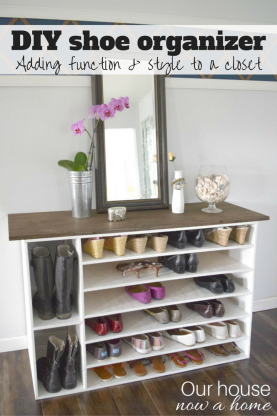 as usual for around here I decorate with mainly low cost items, DIY projects and crafts. It is the only way to actually decorate for multiple seasons without going broke. Since I have to be a “responsible adult” and pay the mortgage, buy food, and otherwise pay bills I need to come up with creative ways to fill my need for all of the decorating. I hope you all take away a few nuggets of inspiration and ways to decorate. I am loving this fall season and am antsy to get on with the rest of the fall activities my family does. Our neighborhood gets really into decorating the outdoors for each season, especially fall and winter. I have many houses on my street that already have fall specific decor out, and other already planning out their spooky Halloween decor. We go big here in our small Midwestern town! Which is nice because I do not get too many weird glances as I am setting up pumpkins in September on my front porch. I do however get weird looks as I wander around taking pictures of random items on my porch. Just another job hazard of being a home decor blogger. 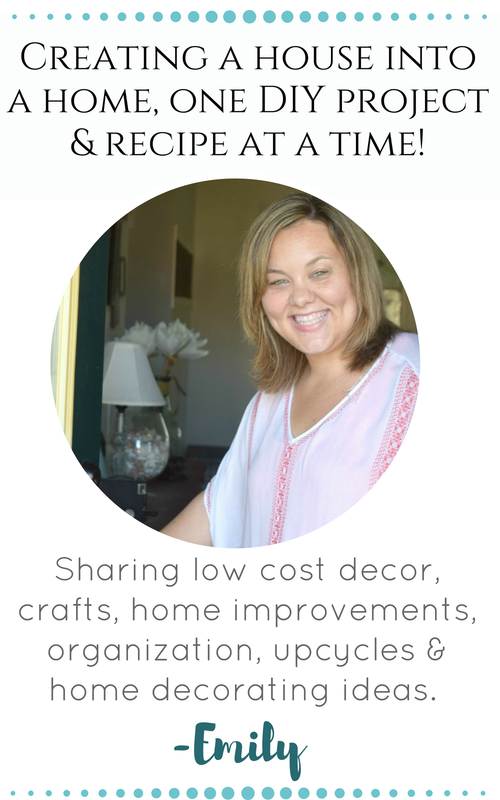 One of the best hazards of being a home decor blogger is knowing a lot of other bloggers, who all have beautiful homes, which I get virtually invited to daily. Now I am off to enjoy these homes! 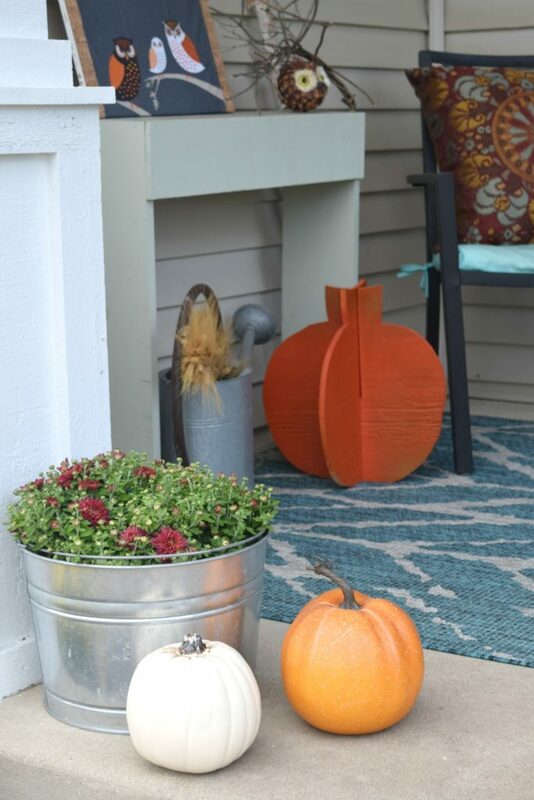 Those wood slat pumpkins are cool, and they look great with the rest of the porch decor. Great job! So. Much. Cuteness! I love your rope pumpkin especially and your garland just says classically fall – perfect. 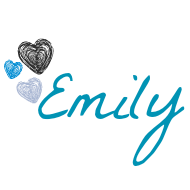 Fantastic job, Emily! I love the tins you used to hold your mums. Beautiful tour, Emily! That’s awesome that your neighborhood gets into the spirit of decorating for fall. Mine is about mixed. 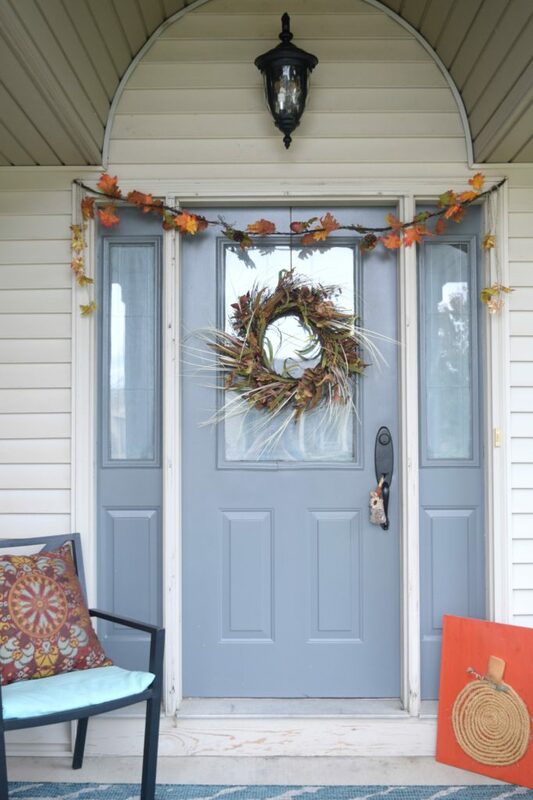 Some go all out (especially for Halloween) and some just throw a wreath on their door and call it a day. Lol. Love all the DIY projects you incorporated into your fall. Such a cute space. 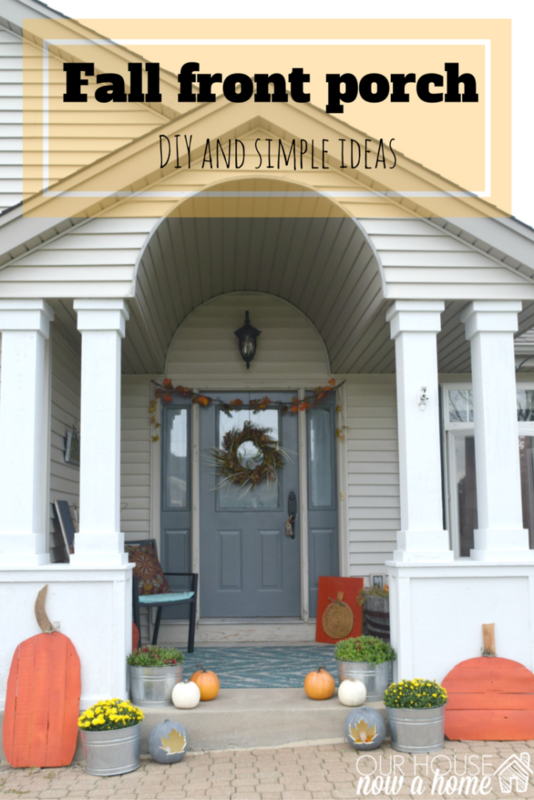 I love the cut out wood pumpkins and the other DIY pumpkins. Can’t wait to see how you made those. Emily, your porch looks amazing! Oh my goodness! I just adore that owl. 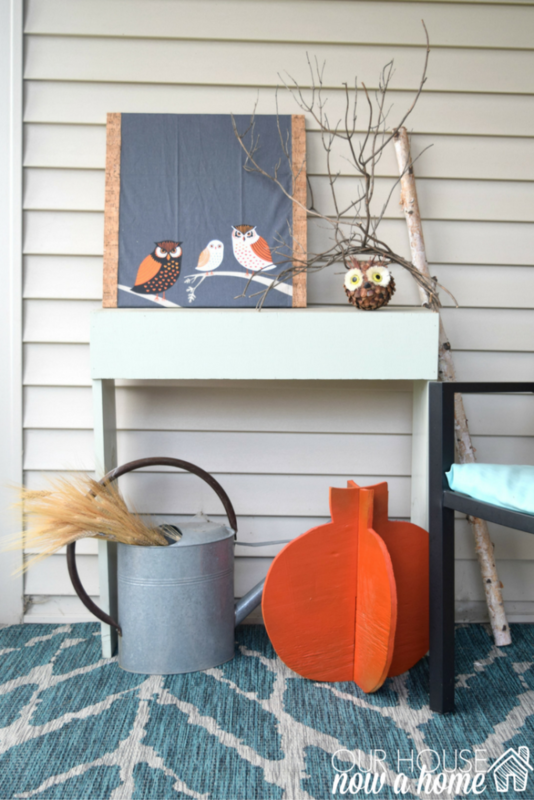 I’ve never seen that – and your porch just looks so inviting. I just want to sit there with a cup of hot chocolate. I am loving all of the outdoor decor. I need to get going on my decorations for the season. You’re inspiring! 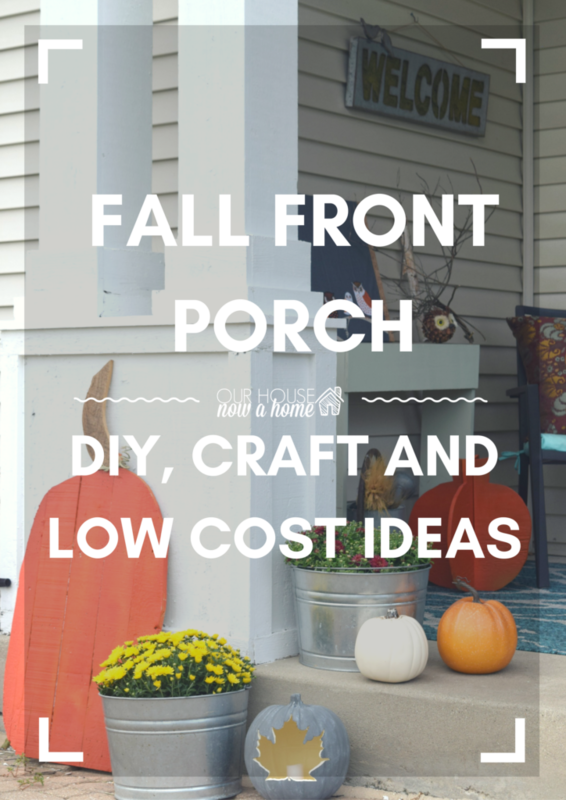 Your porch looks so great! 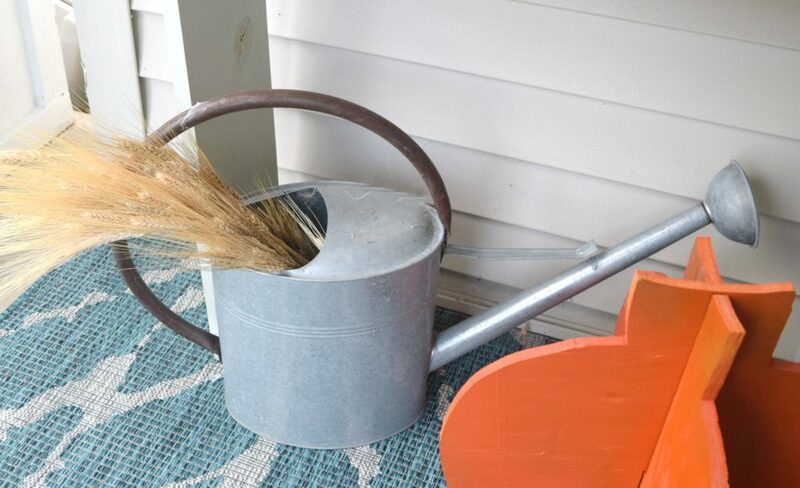 I love the silver planter buckets and the watering can! I seriously need to get a bigger porch! 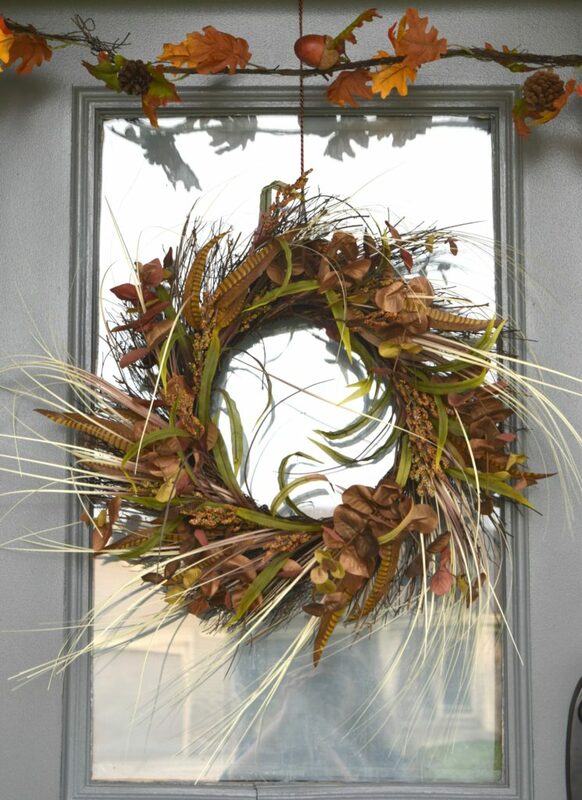 We just hung our burlap wreath on the front door and we are slowly cleaning out all the faded blossoms but we haven’t done anything like this! Looks great! Love this! I love how the colors pop against the colors of your house! Very pretty! 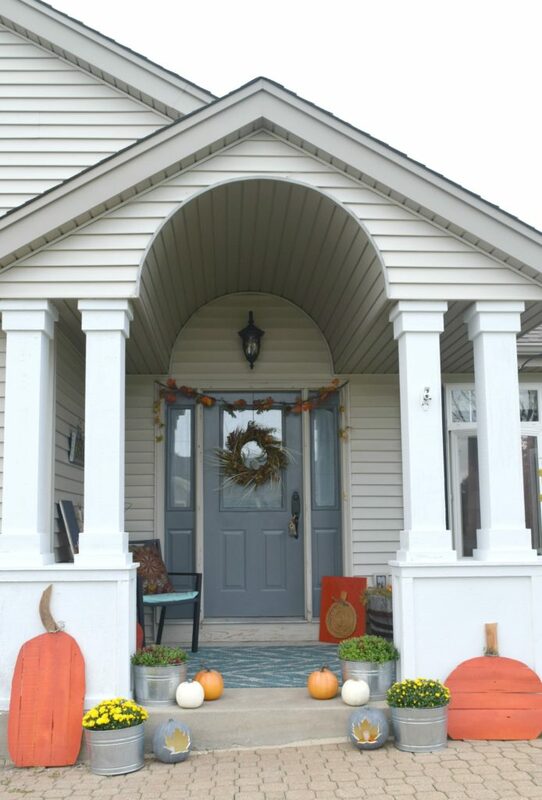 I love your front door and those wooden pumpkins are awesome! This is my goal next year. I want to work on our outdoor spaces for the seasons! Your porch looks beautiful Emily! 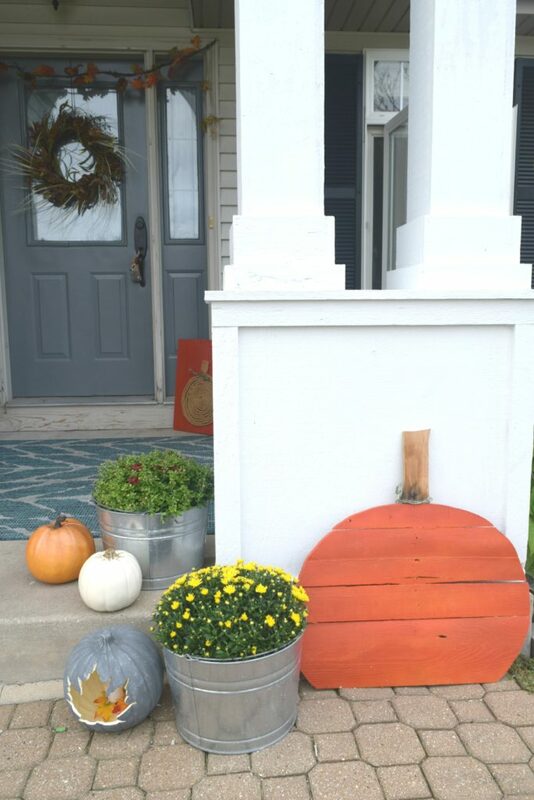 That wreath and your pallet pumpkins are just fantastic!!! Thanks so much for sharing your outdoor space!!! So beautiful! 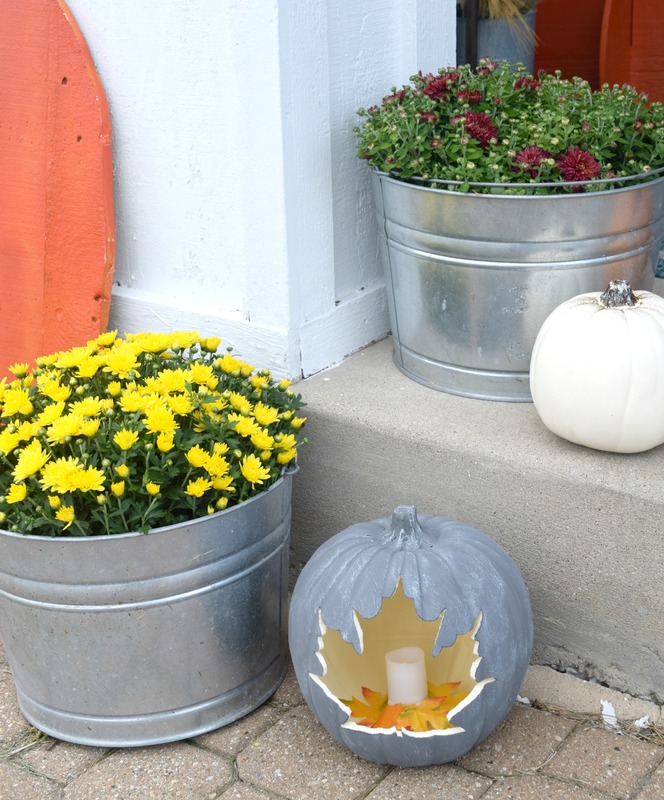 Love the cut out leaf pumpkin! 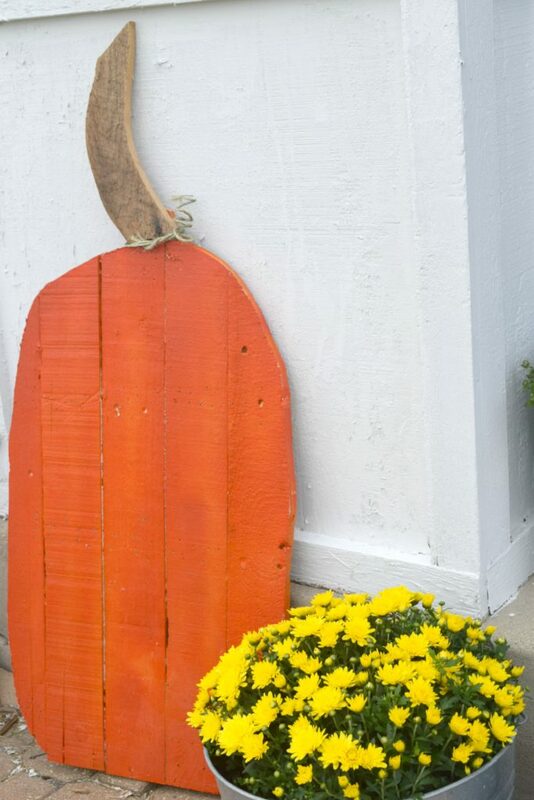 I love your porch, especially the wooden pumpkins! The rope pumpkin is my favorite! SO cute! I love your porch Emily, so warm and inviting. Pinning! 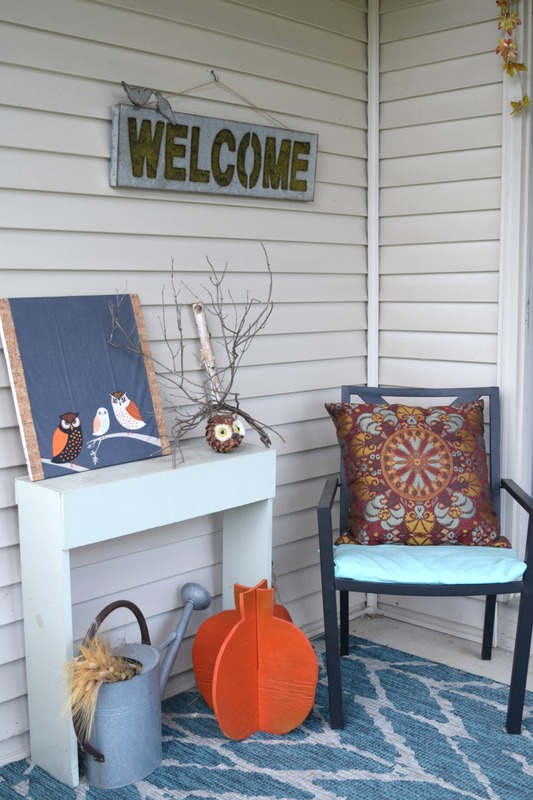 Emily – we love your front porch. 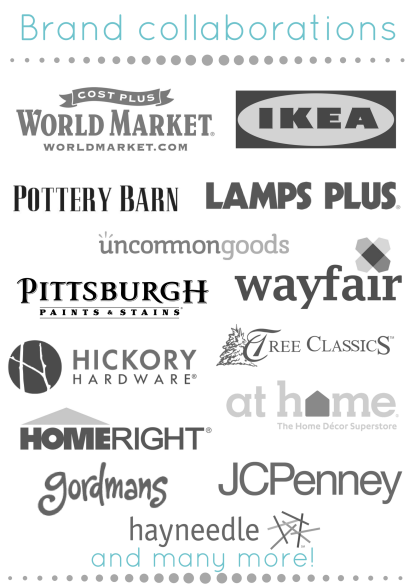 You have so many wonderful and unique decor items. 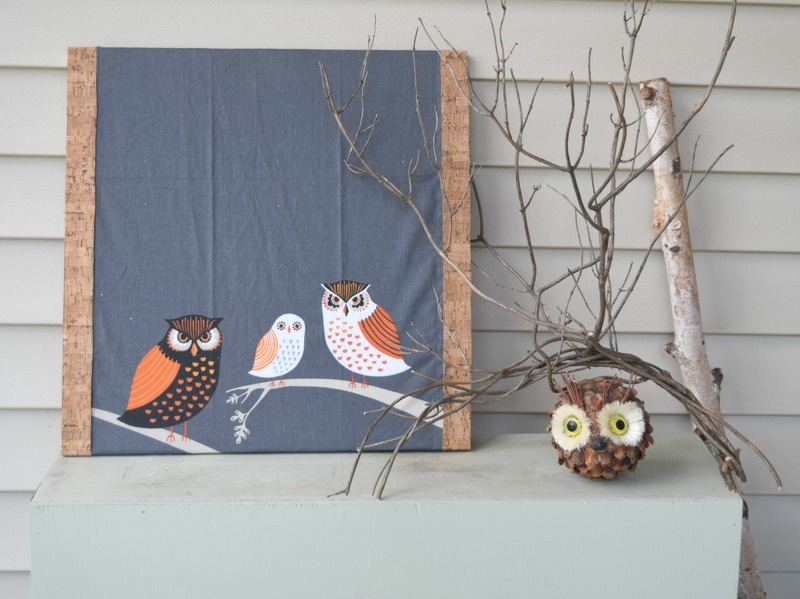 Your sweet owls and the leaf pumpkins are our faves! Happy Fall! 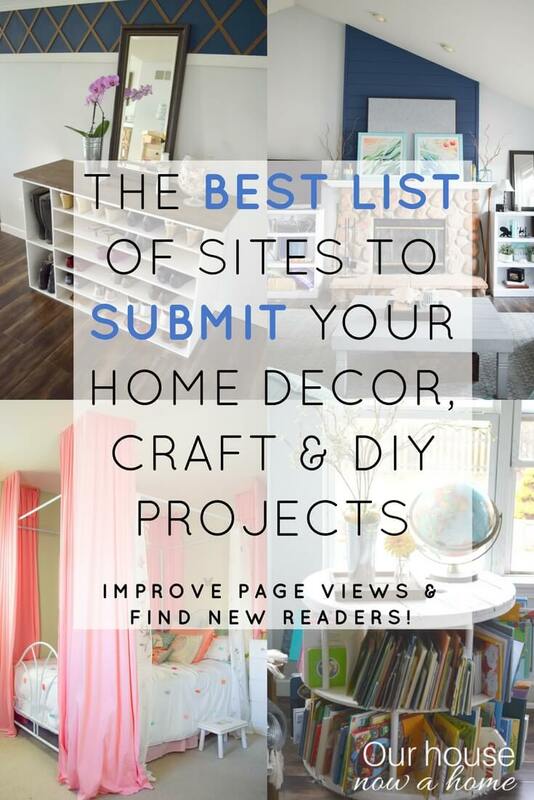 I love all the orange and, of course, all the amazing DIY projects! Emily, your porch looks wonderful! I especially love your owl art & that little owl ornament. So cute! 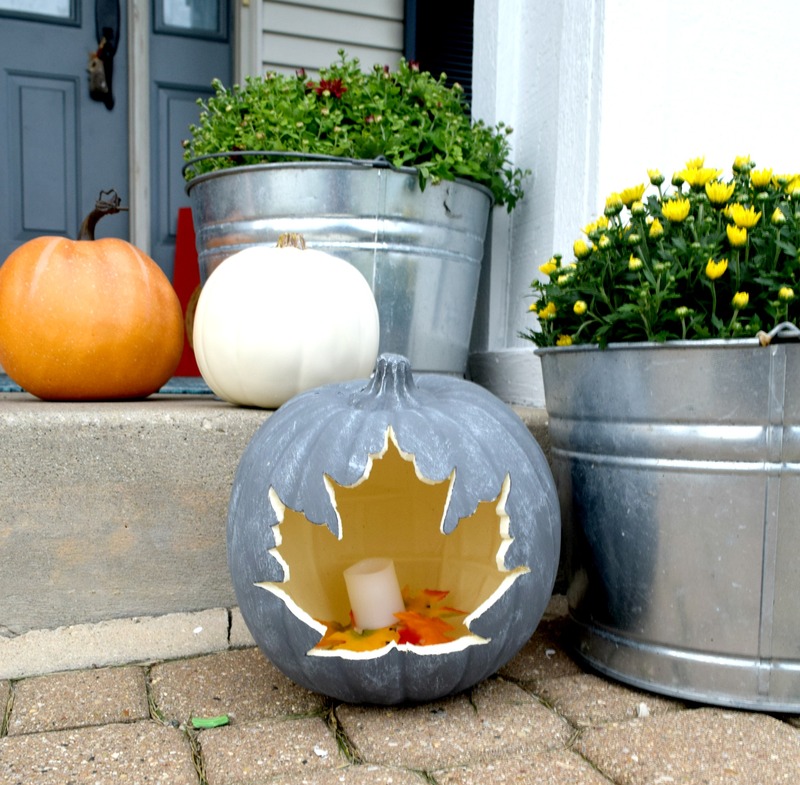 And those maple leaf cut-out pumpkins are really neat – did you make those? I love the orange and pumpkins. Sometimes traditional is perfect! Pinned! Sooooo great!!! 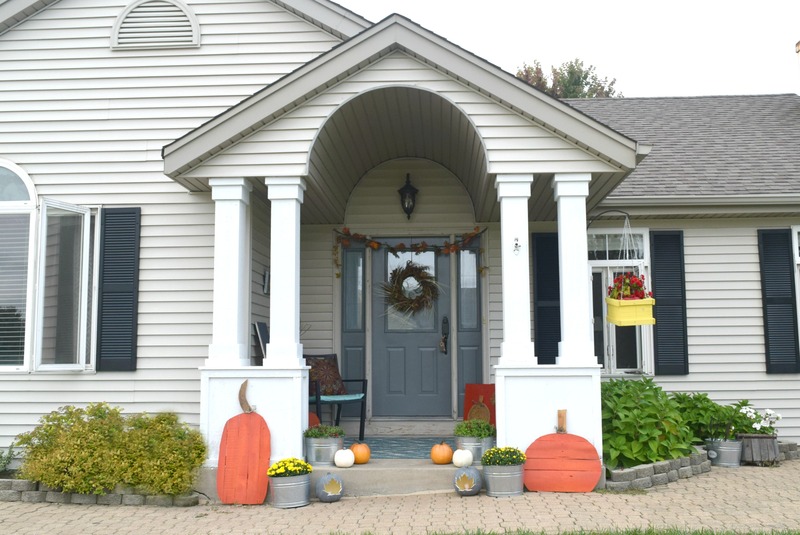 I’m smitten with that wreath and those leaf pumpkins! Your porch looks amazing, I really like the color you choose to paint the background and also the decor. Pumpkin is my fav item, too. It’s so cute to put them around. I love your decor. You’re so handy. I read the previous post which is the instruction for DIY pumpkins. I made 3 of it. Thanks a lot once more time.